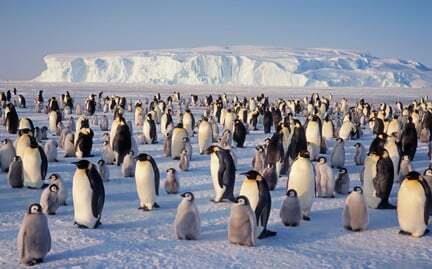 Emperor penguins live on the floating ice packs and islands of Antarctica. Known as the “giant of the penguins,” an adult can grow up to four feet in height and weigh 80 pounds. Climate change and habitat loss pose the greatest risks to these remarkable birds.